Facebook Touch - Computer And Android: Are you a fan of saving data? are you a Facebook Touch freak? 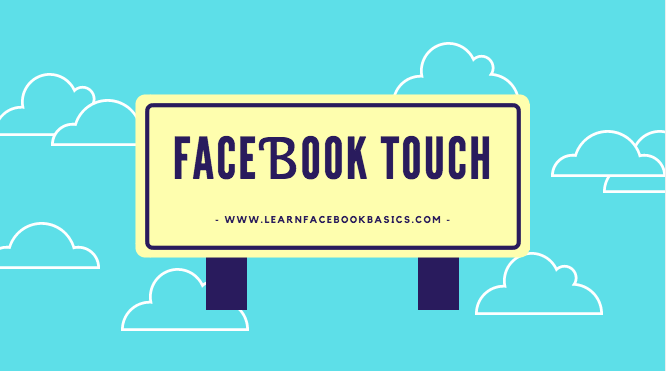 We will show you how to use Facebook touch app on Android phone and as well as share with you the secret to using FB touch on computer. To use Touch on computer, you gat to visit this url https://touch.facebook.com on your web browser that you use in accessing your Facebook account. This url will automatically redirect you to https://mobile.facebook.com/?_rdc=1&_rdr and you can now enjoy the touch experience. Simply goto your Android Play store and search for "Facebook Touch" or simply follow this https://play.google.com/store/apps/details?id=com.fa.touch.free&hl=en to download the touch app on your mobile device. Have fun and please share this post with friends on Facebook. Thanks!